A war on emissions has been raging for the best part of 40 years, with governments coming down hard on the automotive industry. In the 1970s, the US government enforced a law that stated every car manufactured from that year onward had to be fitted with a device called a catalytic converter. This device soon spread throughout the world of cars and has now become a staple of emissions control and is integrated into virtually every modern exhaust system. The cat sits around a third of the way down the exhaust system and resembles a small metal chamber that receives exhaust gasses and changes the chemical nature of them to reduce the volume of nasty emissions fresh from the exhaust manifold. Within the cat housing is a ceramic-based honeycomb structure that is lined with extremely precious metals, with each metal having a specific job in emission-reduction. There are three main emissions produced by car engines: nitrogen gas (N2), carbon dioxide (CO2) and water vapour (H2O). 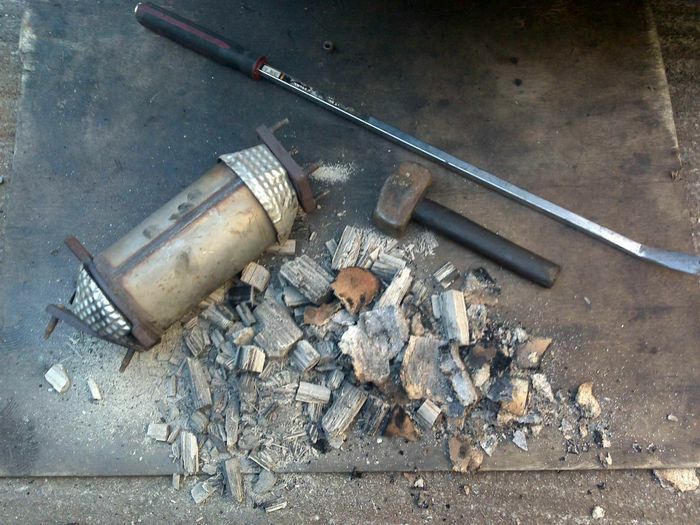 The catalytic converter however is mostly used to tackle the smaller, more-harmful products that are produced due to the naturally-imperfect combustion process of the IC engine. These are carbon monoxide, hydrocarbons and nitrogen oxides. Most cats these days are therefore called three-way catalytic converters due to the three main types of emission that they manage to tackle. A ‘catalyst’ is a substance that accelerates a chemical reaction, and within a catalytic converter, there are two types of catalyst. The first is a reduction catalyst which uses platinum and rhodium within the honeycomb to reduce NOx emissions. NOx is produced by nitrogen oxide and nitrogen dioxide within the exhaust gasses. The nitrogen gasses come into contact with the catalyst metals which rip the nitrogen atoms out of the molecules which in-turn releases cleaner oxygen to continue down the exhaust system. The second catalyst type is an oxidisation catalyst which uses Platinum and Palladium to complete the job. 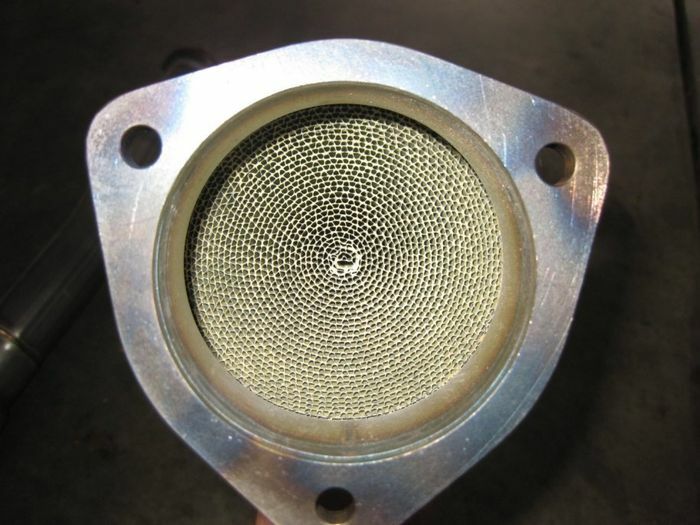 These catalysts oxidise or burn the carbon monoxide and hydrocarbons lingering within the incoming gas, helping reduce the amount of smog produced by evaporated, unburnt fuel. The final stage of emission control comes in the shape of an O2 sensor found just upstream from the cat. The sensor relays back to the ECU how much oxygen is found within the exhaust gasses, with the on-board computer then able to adjust the air/fuel ratio to allow the engine to run as close to the Stoichiometric point as possible. This is the point at which – theoretically – all of the fuel entering the combustion chamber will use all of the oxygen provided to complete the combustion process. Not only does this last stage help the engine’s overall efficiency, it also allows the engine to provide the cat with enough oxygen to effectively complete the oxidisation process with the second catalyst. So what is a sports cat? A sports cat manages to do everything a standard cat can do but in a much more sleek, efficient package. The honeycomb construction within a standard cat is designed to maximise the surface area of the catalysts while keeping their overall volumes low due to the sheer expense of the precious metals used. Unfortunately, the honeycomb can be seen as an obstruction for the exhaust gasses which need to exit to the surroundings as quickly and as efficiently as possible. 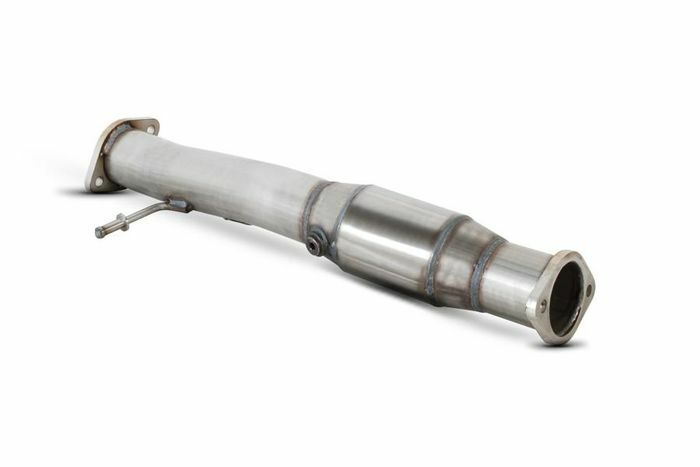 A catalytic converter therefore slows the exhaust gasses down, making the engine work harder as it struggles to breathe out the exhaust gasses at the end of each engine cycle. 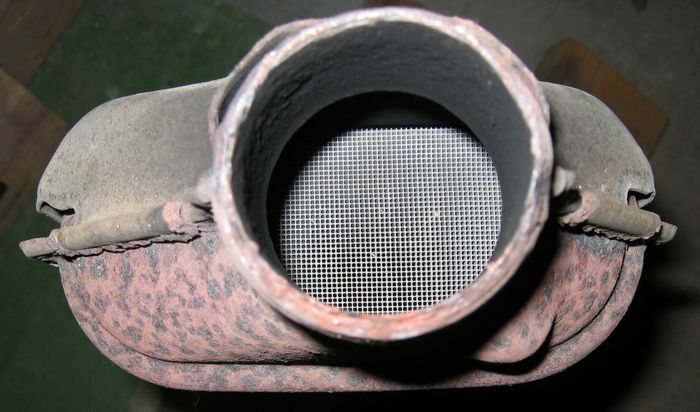 The honeycomb structure within a catalytic converter is also capable of falling apart from overheating, thus creating a further blockage for the exhaust gases to build up against. 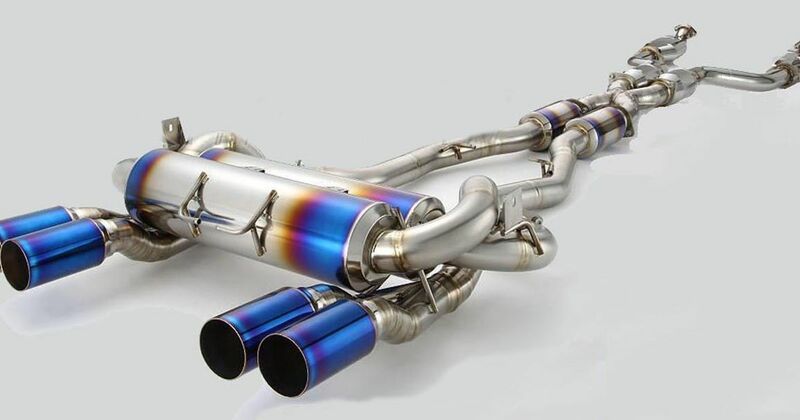 The main aim for an exhaust system is to get the exhaust gasses away from the engine in a smooth and swift fashion, with restrictions and expansions like a large catalytic converter only causing turbulence and therefore disturbed, slower airflow. Sport cats do their best to solve this issue by decreasing the chamber size and creating a much smoother surface within the chamber to allow for the gasses to flow quicker and easier through it. 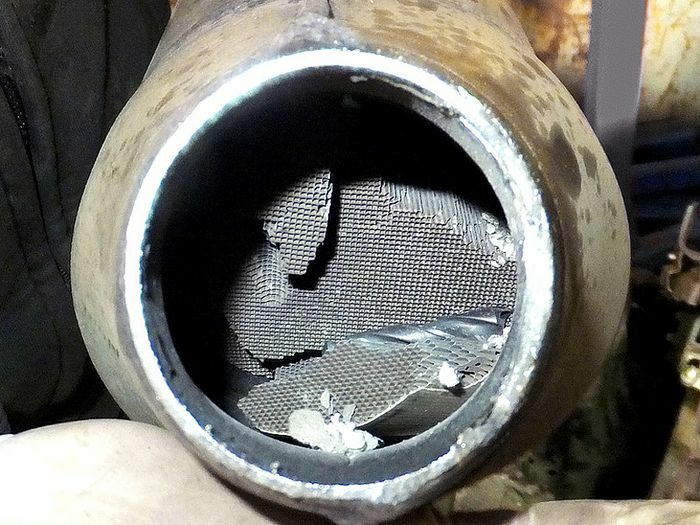 To keep emissions down, the ceramic matrix within the honeycomb construction is much finer than in a normal cat, thus making sure that the catalysts can effectively convert the relevant nasties to where they need to be to meet emission rules. Small increases in power can be achieved by switching to a sports cat, with the engine cycle being freed-up to maximise its efficiency. Is a decat a viable option? The straight answer in most cases is no. 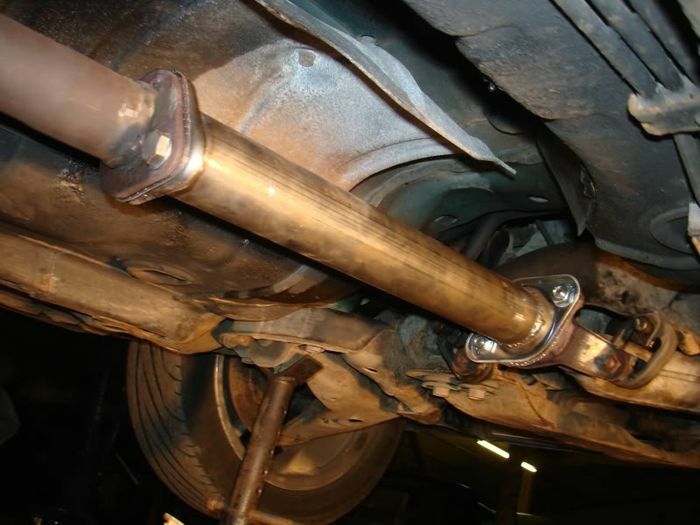 Many petrolheads out there decide that the catalytic converter is producing a severe blockage within the exhaust system that needs to be eradicated and therefore delete the cat from the system altogether, replacing it with a straight pipe. Although this will ramp up the volume of your powertrain and potentially eke out a few more horses from your engine, in most countries, driving a car without a catalytic converter is deemed illegal. Cat stripping is also another form of decatting, which is the process of removing the honeycomb innards of the cat to simply reduce the amount of restriction inflicted on the exhaust gases. Most people who go down the route of a full cat delete decide to chance it and simply have a cat waiting to put back in place for when MOT time comes around. But get caught by a keen police officer with a flashlight and it could be game over. And considering the horsepower gain could potentially be counted on one hand depending on the size of the engine, a sports cat seems like the much more viable option if you really feel like the stock cat on your car is holding your powertrain back. The impact of decatting will be amplified in a turbocharged car however, as the removal of a precatalytic converter would allow an increase in flow of exhaust gasses into the turbocharger. Catalytic converters work best when at high temperature, so a precat is a smaller version found higher up the exhaust system to help break down emissions at start-up when the engine is running very rich. In a turbo exhaust system, the precat generally sits just upstream from the turbocharger, therefore a removal would derestrict that area of the exhaust. But yet again, that would be deemed as tampering with a standard exhaust system’s emission controls and would be considered illegal in most countries. Have you changed to a sports cat or walk the tightrope of a complete decat pipe? Comment below with your thoughts on this common yet risky modification!